The app is served through Heroku. 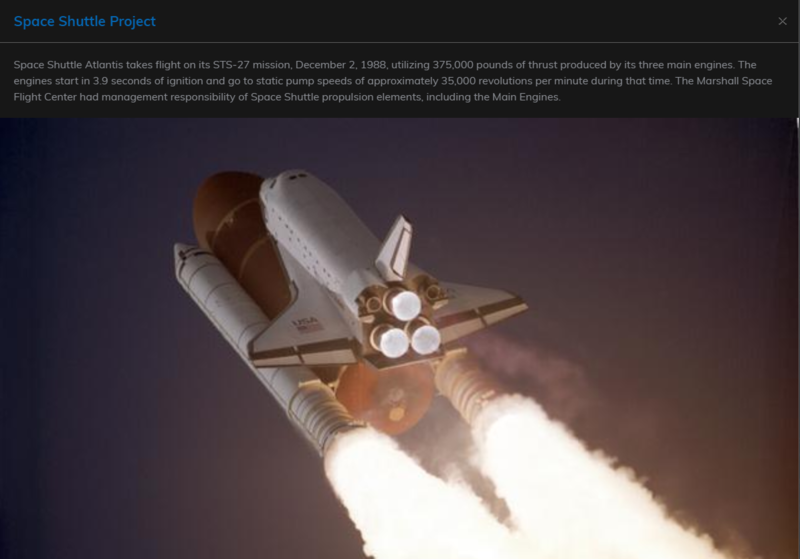 You can go through the many pictures of Nasa in different ways. 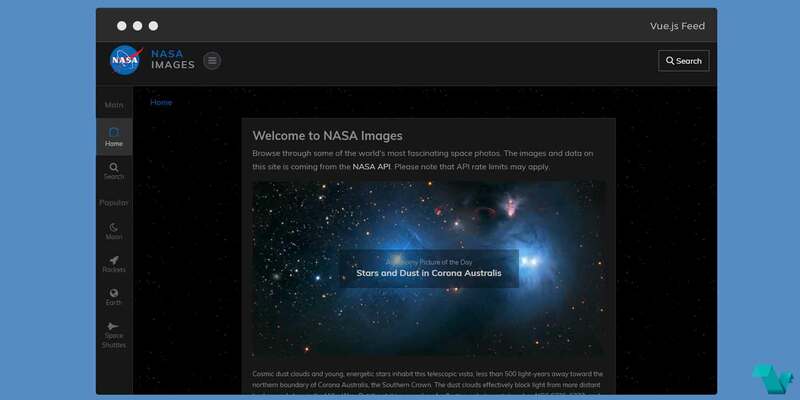 Categorize images by Nasa-Center, by a photographer, or by using some keywords which you can find in a big list or just type "Mars" into the search field. 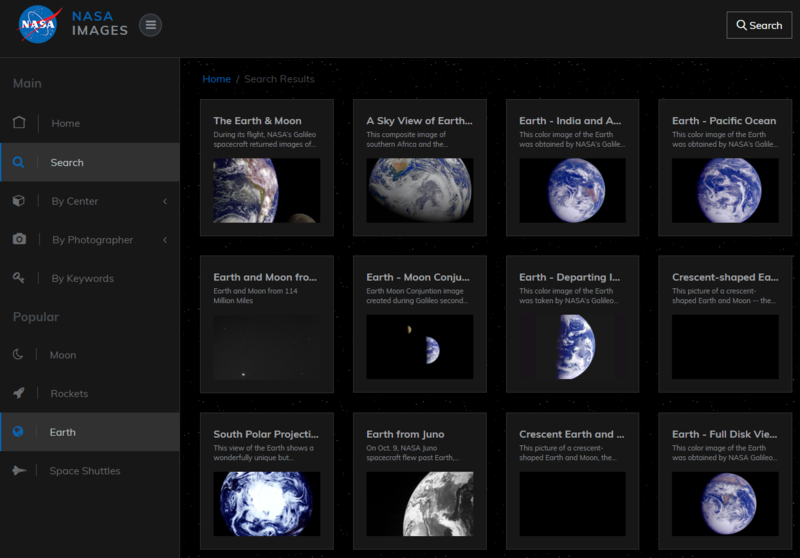 Also, there are some popular categories like images from our home Earth. Travel through space on your Vue rocket!